We consume a lot of information on our computers or phones, so sometimes it’s nice to look at something other than a screen. The office bulletin board can be a great way to let staffers know about upcoming training, cool places to grab lunch in the area or just a way to get to know more about colleagues. Use these bulletin board ideas to get creative with your office communication. Who’s Who - Feature new employees with old and current photos (ask them for childhood school or yearbook pictures), their favorite sports team, their pet’s name and other fun facts. Make things interesting and also post three things you wouldn’t have guessed about the new guy or girl. Map It Out - Create a fun map of the area around the office, highlighting places employees may want to grab lunch, get their dry cleaning done or make a grocery store run after work. Coming Up - Post information about any upcoming training sessions, continuing education classes, service opportunities or team building activities. 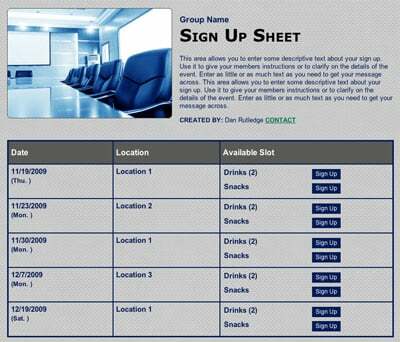 Genius Tip: Use the bulletin board to reference several team event sign ups linked together through tabbing. The Office DJ - Ask employees to list some of their favorite songs and then post a board of office playlists. Categorize them into themes, like “Focus Flow” for work concentration, “Morning Motivation” to start the day and “Friday Feels” for some fun tunes to celebrate the weekend. Pop Culture - Ask people to share what they’re binge watching or reading by writing it on the office bulletin board — and they might just realize they have more in common with co-workers than they thought. Maybe a book or viewing club will form! The Low Down - What’s the latest in the industry? Post articles about new technology, competitors or anything relevant to the industry so that workers stay informed. Monday Motivation - Help take the edge off of Mondays by making sure employees know they can look forward to a cool cartoon, funny photo or inspiring quote each week. What Do You Think? - If you’re starting something new that will involve everyone at the company, get people to weigh in with their thoughts. Then they can feel like they were part of the process and the people in charge may just get some helpful feedback. Company History - Post a fun timeline of key events in the company history. Make sure to add old photos and both serious and silly milestones! Who Are We? - Post the company mission and ask people to add a sticky note describing what it means to them or how they use those concepts in their daily work lives. And the Oscar Goes To… - Leave a spot on your bulletin board where people can nominate co-workers for awards or just give them a shout out for a job well done. Around the World - Ask people to post pics from recent travels and their favorite part of the trip. This will get people talking and could encourage others to find new places to visit. Caption This - Post some candid photos from around the office and encourage people to come up with clever captions. Must-See Meeting Notes - Post FAQs for important meetings like the annual open enrollment insurance info session or even offer a place people can post anonymous questions and get answers. Burning Questions - Ever wondered why the boss always sits in the same chair in the conference room or whose idea it was to paint the breakroom that crazy color? Offer a place for people to post their burning questions — and make sure they get answers. Joke of the Day - Everyone loves a good laugh. Learning one that you can later use to break the ice at a dinner party is even better. Food for Thought - Food pics are all the rage on Instagram. Ask employees to post pics from their favorite meals from nearby restaurants — this will help encourage people to try new places and maybe new lunch mates. How Are We Doing? - Did the sales team have a stellar month? Did the IT department navigate a record number of calls? Post about the company’s record — both highs and lows — to serve as motivation. Buy or Sell - Let workers use the bulletin board as a place to post about household items they don’t need anymore. Well, Well, Wellness - Use the office bulletin board to help keep employees committed to whatever wellness initiatives you have going. Maybe it’s a list of classes available at the gym upstairs, the schedule for the in-house Weight Watchers meetings or the latest steps challenge. Policies and Procedures - The bulletin board is always a good place to keep important policies and procedures that people may want to double check from time to time. Pin the list up so people always know it’s there if they need it. Picture This - Everyone loves to brag about their kids. Everyone also usually has way too much of their kids’ artwork. Allow employees to take turns posting something fun — whether a piece of kid art or a pic of Johnny pitching in his Little League game from the weekend tournament. Let’s Make a Deal - We all get coupons that we may not take advantage of. Encourage employees to pin up the ones they won’t use so fellow workers can take advantage. Snack Attack - We all love to be able to look forward to a sweet treat. Decorate a board with photos of snacks, and have employees place a pin in their favorites. Genius Tip: Designate “Fun Fridays” and create an online sign up where employees can volunteer to bring a snack for the whole office. These bulletin board ideas will both brighten up your office and allow you to communicate with your team in a new, unique way. Happy board decorating! 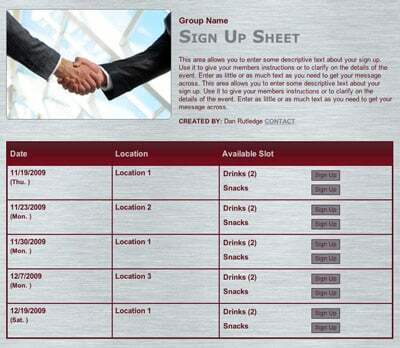 Organize an office potluck with a sign up.